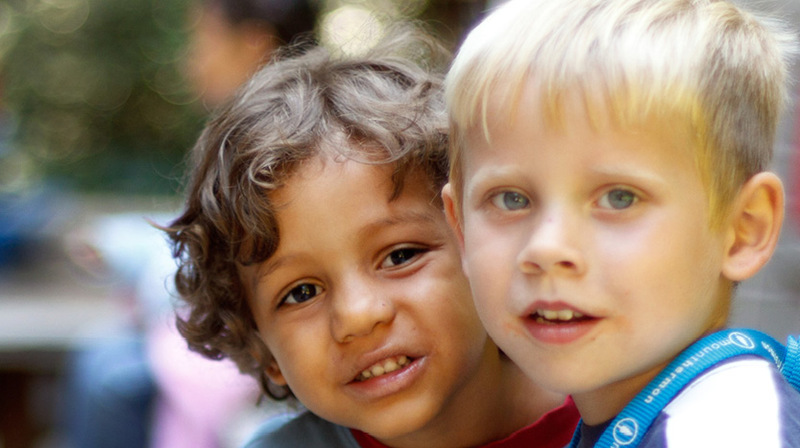 Mount Hermon’s Preschool is a California licensed facility and program, run by certified professionals, specializing in child development and preschool education. Your children will be prepared for their school years—and more—as they grow socially, intellectually, physically and spiritually. We incorporate science, art, language, music, dance, water play, climbing, movement, mud, bubbles, block play and dramatic play into the everyday learning experience. This program runs from September through May. Check out the following options and contact us with any questions! Caterpillar class: Children need to be 2.5 years old by February 1st. One and Two day options are a available from 9 to noon only. Check with the director about days and openings. Ladybug class: Offered two days a week, Tuesdays and Thursdays. Children need to be potty trained and 3 years old by September 1st. Butterfly class: Offered three days a week (Monday, Wednesday, Friday) Children need to be 4 years old by September 1st. Our Pre-K class: Offered Mondays, Wednesdays and Fridays for children who are old enough to be going to Kindergarten. This class uses Handwriting Without Tears to expose the children to the writing of letters. The children do science experiments, work jobs from Math Their Way and get to do all the other fun things the other children do on these three days. On any event, you can click to see more information and details. Ask me, Kahleen, at school if you want more instruction on how to use this feature. Our classes are filling up, and you are getting this note to let you know you are enrolled for next year!!! Please check the attachment calendar for the school year. Sept. 12 & 13, are the visit days from 10 - 11:30. Important for your children and parents too. I do all the paper work with each family, take cubby photos, and get to meet you all again. Sept. 17 & 18, The first day of school, and the parents all say good-bye. All registration papers need to be turned in to me on or before the visit days. This includes the immunization records and the physicians report form. I am off on vacation until September 4. You can send me emails but part of our vacation is out of range of service, so we will be "unplugged". Parent Handbook: You may print the handbook, or just refer to it here online. For a class list, Email The Director. Scholastic Online Book order information. If you would like to contact the state license agency, here is their website. If you would like to make a donation to Play School, here is our Donations List of some items we could use. Math Their Way: We use just the beginning concepts and are developing "Workjobs" that will reenforce counting concepts. Here is a link to some more information on counting with children. Workjobs: This refers to "jobs" the children get to do with teachers in a more directed time of play. There is a specific "job" such as matching, counting with one to one correspondance, or sorting. These are being created by our staff from Math Their Way. Handwriting Without Tears: This is a developmental program that we use with all our classes. It incorporates music, rhymes, and much more, to expose children to concepts that are necessary before they move on to actually writing with a pencil. In our Pre-K class, the children do use pencils and other writing tools to write capital letters in the Handwriting Without Tears way. Please fill them in, provide a copy of the immunization records required and return it all to the director. This all needs to be completed before you will be able to help in the classroom. Registration for Mount Hermon Play School is easy. Fill in the following forms and print them, be sure to keep a copy for your records, and then bring them to Play School or mail them. See the address on the application. If you have any questions our team is happy to help, just give us a call at 831.335.9420! For New students: you need an application as well as the following four forms. You also need to send a registration check for $150. These documents are necessary for you to read, but do not need them signed or brought back. For returning students, all you need is a new application to secure your spot for next year. In September I will need you to update your emergency information and fill in a new Admission Agreement fees page. Both of these will be done when I see you at the "Visit Day" in September. I will also take your child's cubby photo and a photo with the family members that attend the visit day too. If you would like to request financial assistance for a portion of the tuition, please call 831.335.9420 or email playschool@mounthermon.org to make an appointment to come in and discuss your needs for financial help. What families qualify for help? Well, where do I start? Since we depend on the money from the tuition payments and what ever is available in the scholorship fund to run our program, the families that are not paying for any other programs for their child or paying for any other “fun” things due to stressed finances are what this is for. We currently depend upon people donating to our scholarship fund. Please feel free to share this opportunity to give to our program with your friends and family.